Representatives of the Phylloceratida are described from the Turonian of North Germany for the first time. The specimens are referred toPhylloceras (Hypophylloceras) sp. All phylloceratids reported in the literature from the Boreal Upper Cretaceous of western Europe are mentioned. The new material helps to fill the gap in the record of this group between the Cenomanian and the Santonian of this realm, where they are generally very rare. It is assumed that the occurrence of Cenomanian and Turonian phylloceratids, ammonites regarded as typical for Tethyan faunas, is connected with the Middle Cretaceous palaeocurrents directed from the Tethyan realm to the European Boreal. 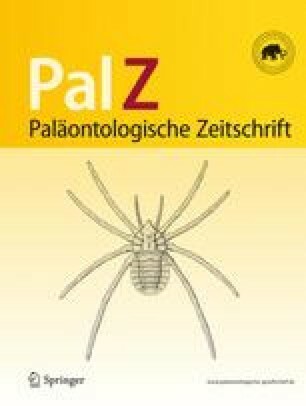 Aus dem norddeutschen Turon werden erstmals Vertreter der Phylloceratida beschrieben. Sie könnenPhylloceras (Hypophylloceras) sp. zugeordnet werden. Eine Auflistung der wenigen bislang in der Literatur angeführten Phylloceraten aus der borealen Oberkreide Westeuropas wird gegeben. Diese zeigt, daß die Neufunde helfen, eine Lücke in der Überlieferung der Gruppe zwischen Cenoman und Santon dieser Region zu schließen. Möglicherweise hängt das Vorkommen der für tethyale Faunen typischen Phylloceraten in der tieferen Oberkreide Westeuropas mit Paläoströmungen zusammen, die von der Tethys in das europäische Boreal gerichtet waren.